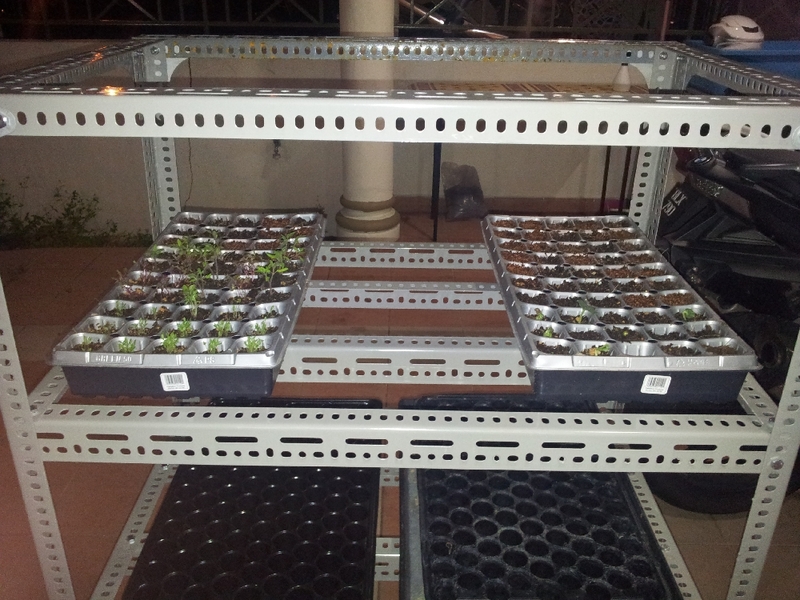 If we want to be serious about planting our own vegetables, we must have a steady supply of seedling for planting. Getting seedling from nurseries are expensive in the long run and choices may be limited. 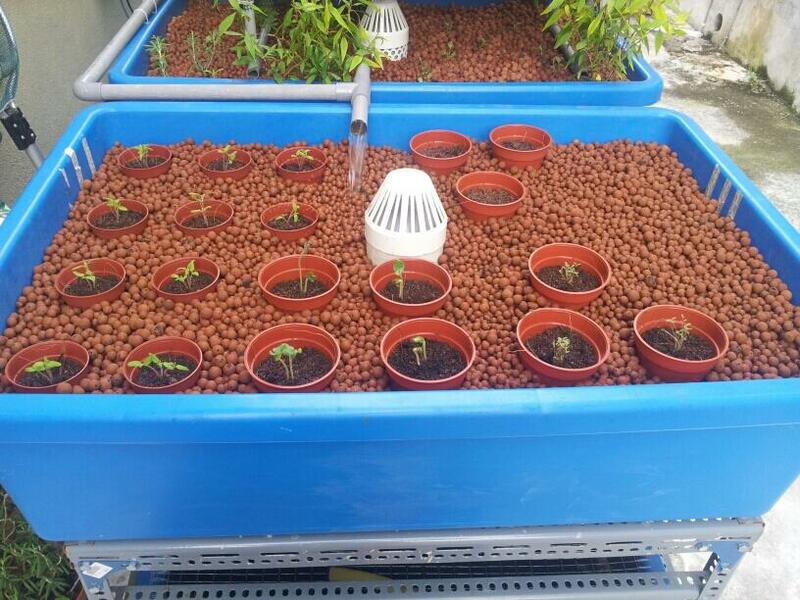 Vegetables seedling are not readily sold in most places due to their short lifespan of around 1 month before requiring transplant. Sowing our own is cheapest and can ensure a steady supply as we requires. To get seedling going we require a place to start them out to ensure shelter from heavy rain, extreme heat from direct sunlight and pest. Sowing in small scale as below is okay if we are doing plants like tomatoes, okra etc.. but for leafy vegetables like kailan, sawi, salad etc we need to sow in larger quantities and a good shelter to ensure they do well. 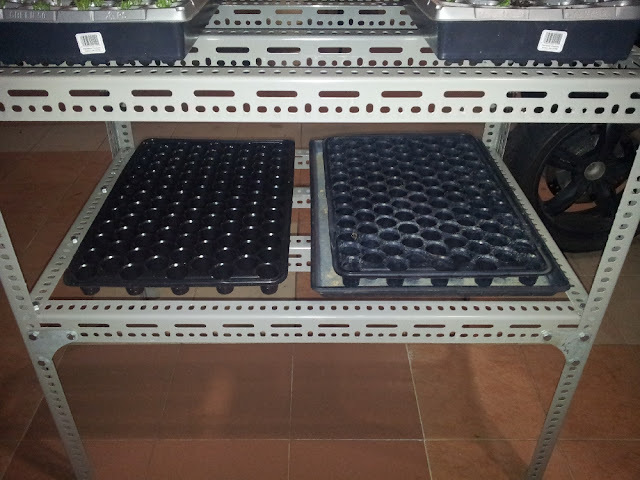 For few plants we can use temporary shelter, but its not as good as having a dedicated place to put all seeding as they grow. Seedling will not survive if no shelter given to them, its either very hot sun or heavy rain will damage those fragile plants. 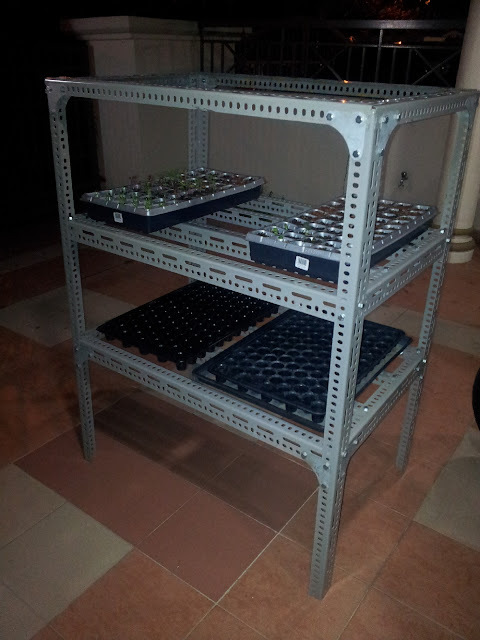 I decided to build myself a seedling shelter or racking to ensure that I can have a place get seedling a head start. What I need are few pieces of angled iron and make a 4x3x2 racking for the seedling to grow during the first 30 days of their life. All cut up from hardware store there are 4 off 48 inches, 7 off 24 inches, 10 off 36 inches and few angled plate and screws. 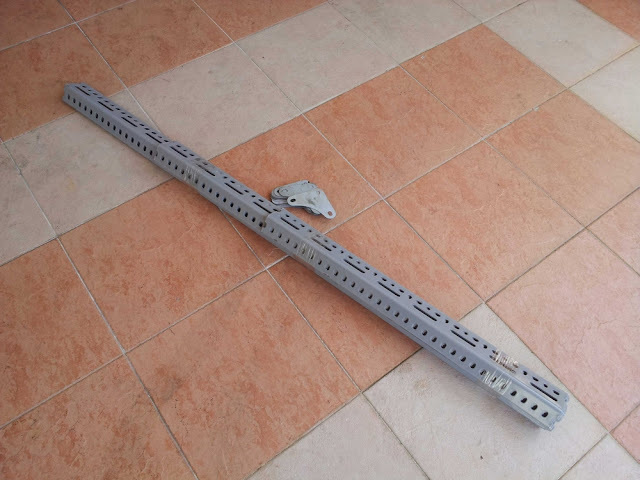 Once assembled this is how it look like, below still few parts missing and will complete the work tomorrow. Top row is for seedling already germinate and bottom for those yet to germinate. Each rack can hole two of this sowing tray with drip tray at the bottom or 3 of this 50 cup sowing tray as below. 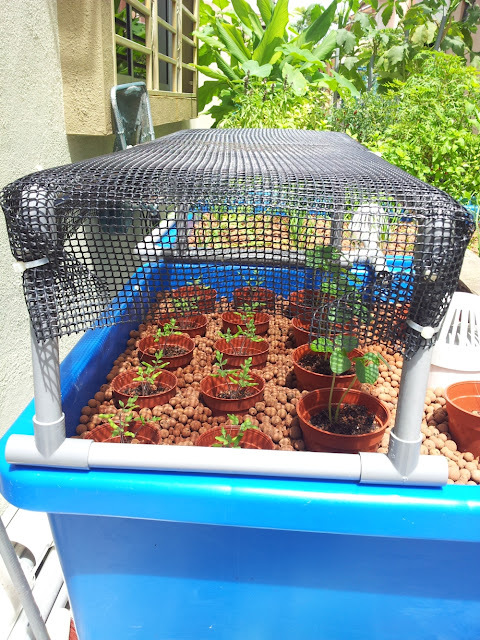 Its not complete due late in the evening and I'll put PVC mat underneath the tray for support and netting to protect from sun, rain and insect. Hi Afnan, is this galvanised(anti-rust) or u planning to keep in under the shade? It's not galvanised and will be in the open. Thinking of giving it a coat of paint. It was a rush job for a project, will be redoing few items in my set to make good.